Pinch Us!! There are moments in our careers that we just have to sit back and ask ourselves if all this is real. Moments that we wish we could record on our DVR’s and relive over and over again. We started our business almost a decade ago…with no experience, no schooling, and just a dream. And now, its grown beyond our wildest dreams- into something we never expected. 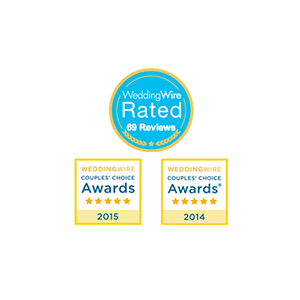 We are SUPER excited to announce that we received Wedding Wire’s 2014 Couples Choice Award!! We are so thankful to all of our couples that we have gotten to work with throughout the years. We LOVE our jobs more than anything and it really comes down to loving all the people that we meet. Thank you all so much for trusting us to capture your wedding day memories. It is such a privilege for us and we do not take that responsibility lightly. Here is to all of our past, current and future brides!! !